The month of May has been nothing but hectic for GreyHunt and in an effort to escape reality, I found myself daydreaming about completing my next project- my master bathroom. My master bathroom has been on my to-do list since I bought my home and is the last thing I have to break any ground on. Even my boys bathroom came before mine (thank you, motherhood!). 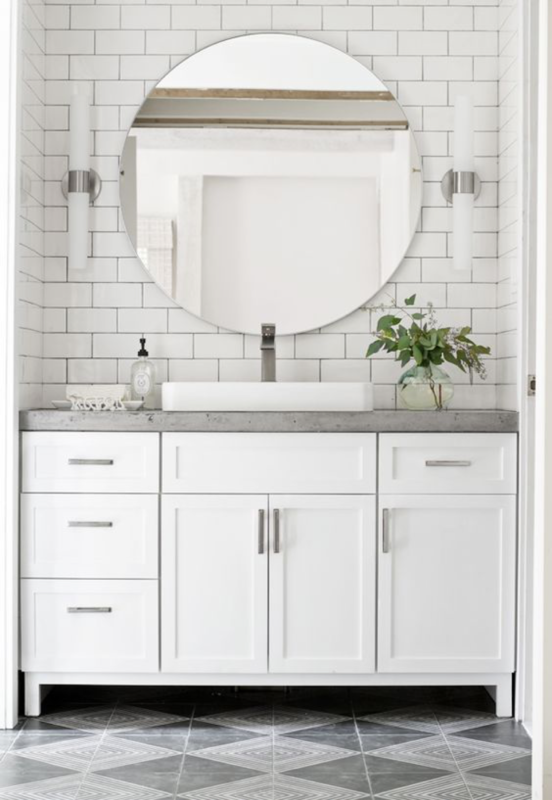 Although I’m looking to do mine in black, white and gray (no surprise there), I wanted to share some ideas and inspirations for different vanities. Check out what I picked! Love all the white! Pic via sarahmdorseydesigns.blogspot.com. Rustic and relaxing, a great combo! Pic via Park and Oak Design. The gold and the gray are really pulling me in. Such a great space. Pic via elementsofstyleblog.com. Seriously breathtaking. Love, love, love!!! Pic via Tracy Lynn Studio.